Earlier this week, Honor shocked everyone when they announced the price of the Honor Play in the Philippines. Watch: Honor Play, the best affordable gaming phone today? Why? It is arguably the most powerful affordable gaming phone in the country right now. The Honor Play is priced at PHP 15,990. At that price point, it is the only one that is equipped with a flagship-grade processor, the Kirin 970. For your information, Kirin 970 is the very same processor found on the Huawei P20 Pro that is priced at over PHP 40K. Of course, it won't be as good as the P20 Pro as a whole, but it will be just as fast. Moreover, this is the very first device in the world with GPU Turbo technology which is designed to improve its gaming performance by up to 60 percent while consuming up to 30 percent less power. In addition, Honor boasts that it has tons of other features that could make your mobile gaming experience better. Now, let's check if it is as great as it is on paper. Is this the affordable gaming smartphone to beat? Disclaimer: This unit was loaned to us by Honor Philippines for our honest take. 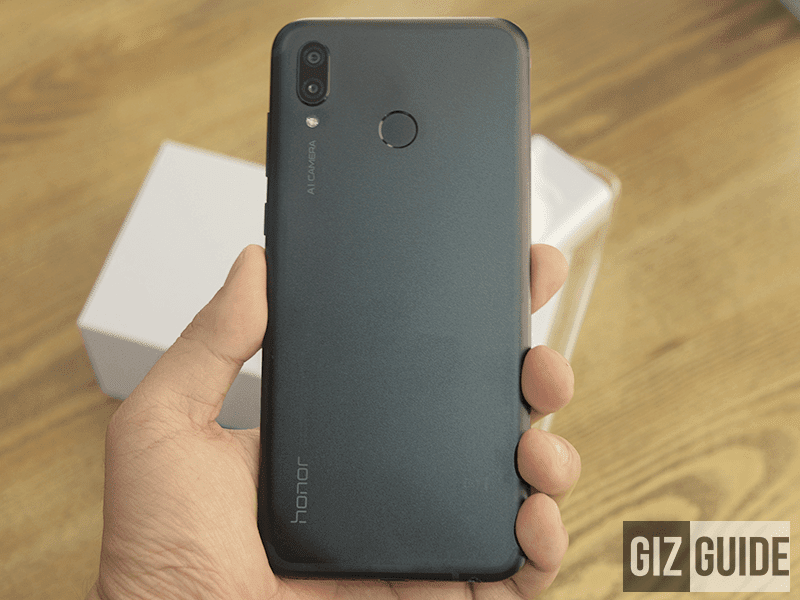 As expected, the Honor Play arrived with what most will see in a mid-range smartphone package. 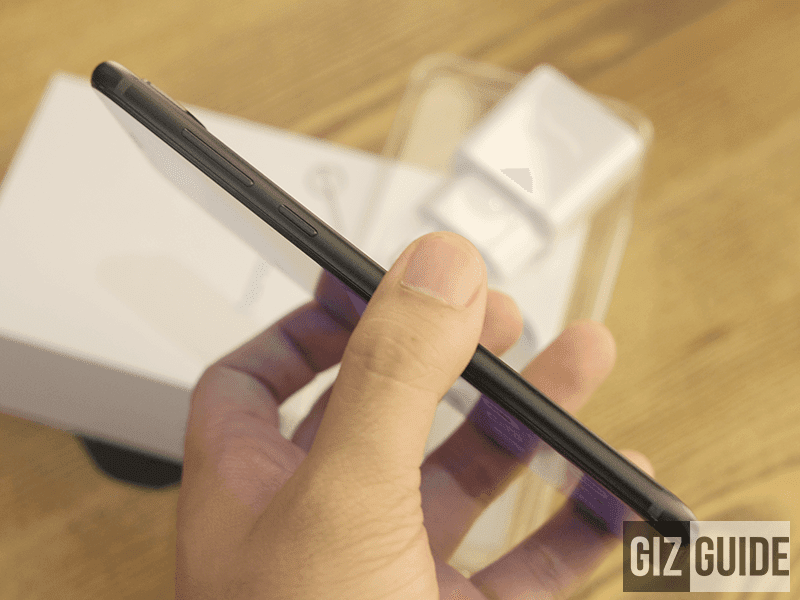 It has a fast charging USB wall charger, USB to USB Type-C data/charging cable, SIM ejector tool, clear case, and paper docs. The only thing that is missing is the earphones with microphone. It would have been better if it is included in the package, but you can't have it all always. The Honor Play doesn't have the flashy look of other gaming phones in the market. But, it has a solid and sturdy looking build. The body is made out of a durable looking aluminum metal frame with good paint finish and nice curves. On the top, the notched display is protected by Corning's Gorilla Glass. The type of Gorilla Glass is unspecified though. But, having any glass protection is better than none. The design? It is a simple and neat looking handset. Again, it isn't as edgy as other gaming phones. 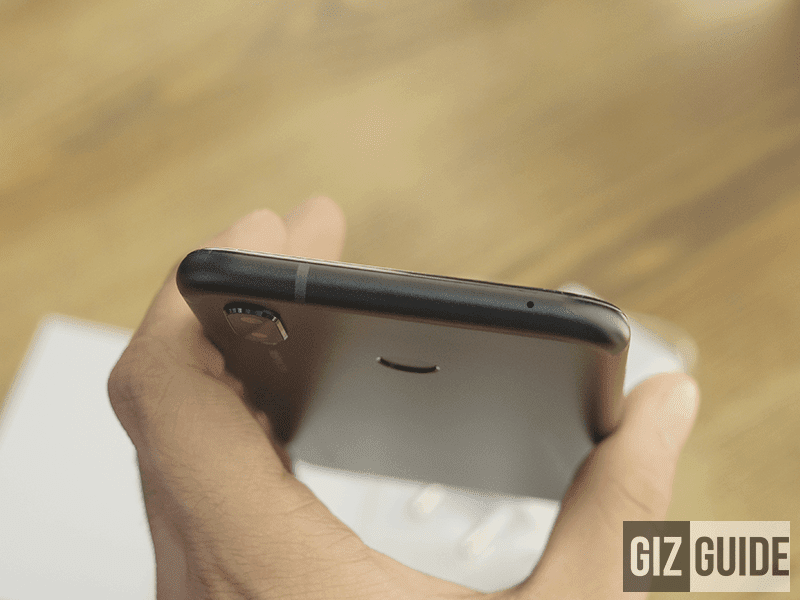 Most mid-range phones in the market with glossy glass design are even flashier than this one. That is okay, Honor focused on making the hardware of this machine really good instead. Besides, most won't notice it. This phone is still considered as stylish in my opinion. It even has a slim 7.84 mm body and not that big body 167.91 mm x 74.27 mm) for a phone with massive 6.3-inch display. 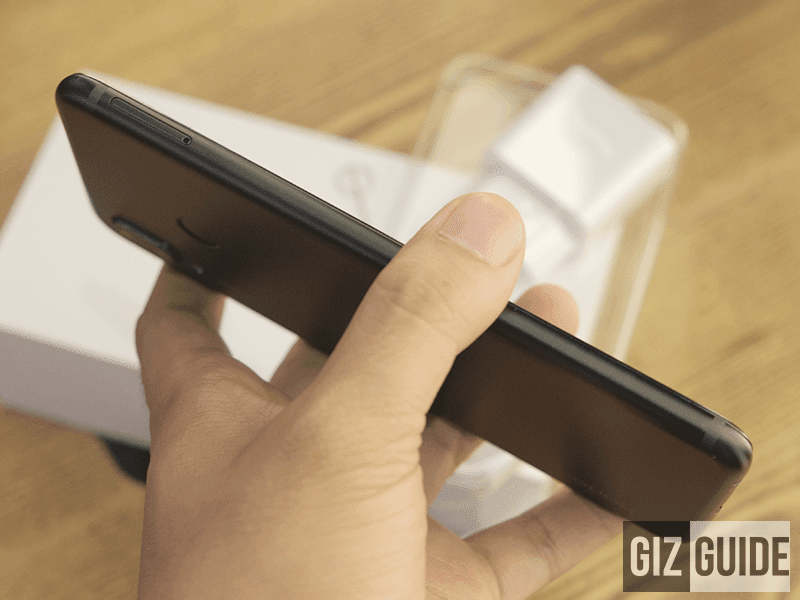 Honor did that by making sure that the top, bottom, and side bezels are slim. The Honor Play has 19.5:9 aspect ratio and 83 percent screen top body ratio. The camera bump at the back is far from big as well. It has a notch though. Fortunately, Honor included an option to turn off the notch in the display settings. In terms of ports and button placements, most of them are found on familiar locations. This handset is also handy enough despite its large display. It is a bit slippery to hold. It isn't that prone to fingerprint smudges. 1. 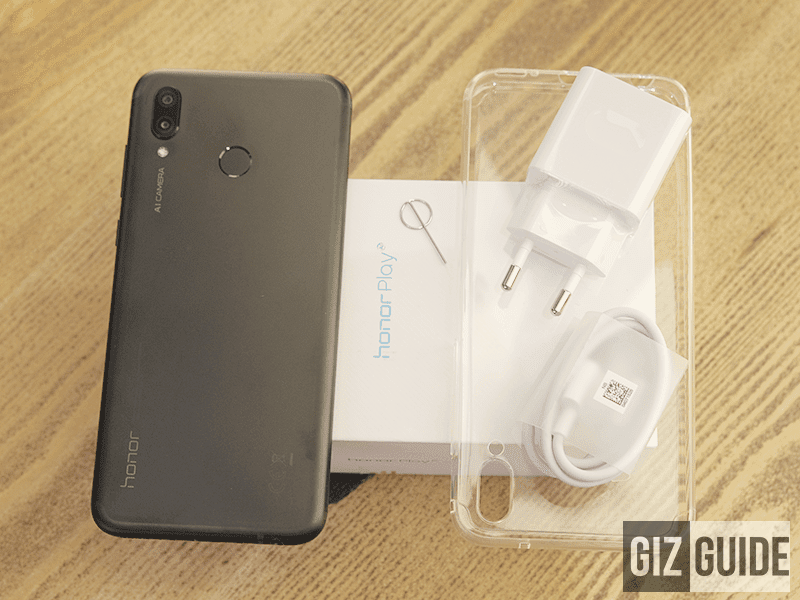 The Honor Play arrived with a safe design and sturdy build. I personally like it that way. The 6.3-inch display looks good even if it has a notch. It is big, immersive, and sharp enough. Colors are as good as other phones with IPS display. 2. Inside, this phone is a MONSTER for the price. Its Kirin 970 processor is MUCH better than Snapdragon 710, Snapdragon 660, Snapdragon 636, MediaTek Helio P60, and Kirin 710. Why? It is a flagship grade processor under the 10 nm process. It is AMAZING for gaming at this price point. It can run most of the heavy titles with ease. Even without GPU Turbo. What more if you play games with GPU Turbo support such as Mobile Legends and PUBG. In our recent game test, the performance is insane. 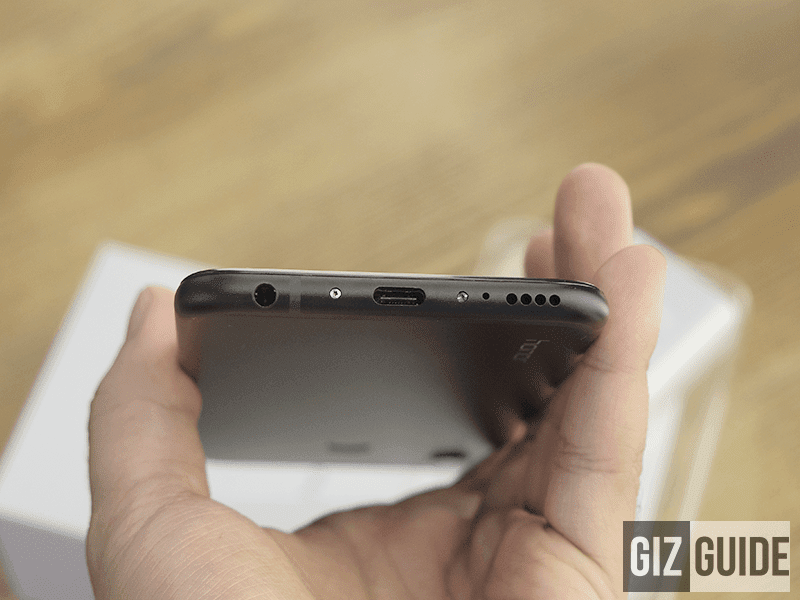 Honor also paired it with 4GB RAM, 64GB expandable storage, and large 3,750mAh w/ fast charging via USB Type-C.
3. It boots with the new EMUI 8.2 skin based on Android 8.1 Oreo OS. The UI design and features are similar to what the Nova 3i has. 4. At the back, it goes with a dual camera setup. There's a 16MP f/2.2 + 2MP f/2.4 cameras with PDAF, CAF, and dual-tone LED flash. On paper, it has similar specs with the Nova 3i. But initially, I like it better than the Nova 3i. 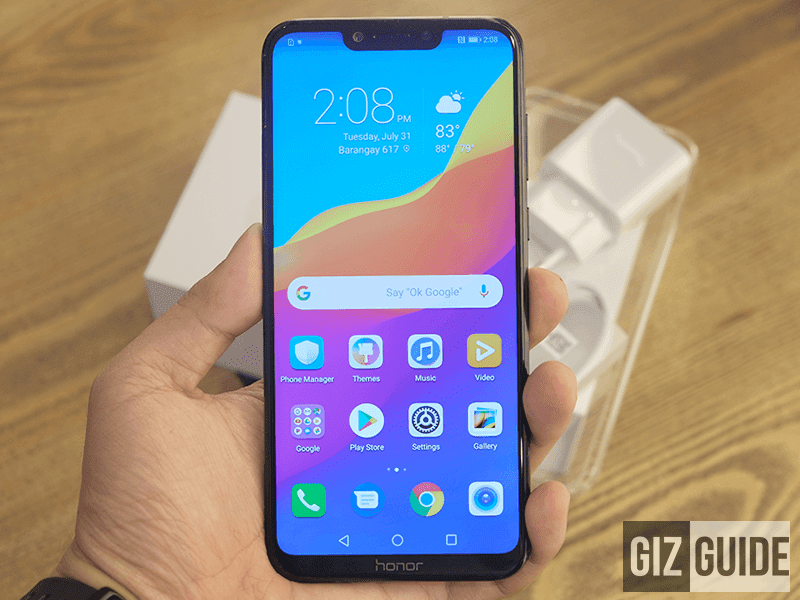 Most likely, Honor Play's higher-end SoC with flagship-grade ISP is responsible for that. Moreover, it has most of the other camera modes and features found on Huawei devices. The pro, light painting, and night modes of this thing are lit! 5. As expected, it is complete with WiFi 802.11a/b/g/n/ac (2.4GHz/5GHz), 4G LTE Cat 18, fingerprint scanner, face unlock, 7.1 channel Histen audio, 4D gaming experience, gyroscope sensor, light sensor, LED notification, and OTG. We think that it is the very best for gaming at its price point right now. Its flagship-grade Kirin 970 10 nm SoC is far better than all the other phones we know in its class. Personally, I also like that it has new innovations like the GPU Turbo tech, 4D gaming experience, and 7.1 3D Histen audio. Moreover, the rest of its features and specs are also decent. The screen is big and beautiful, RAM/storage size are enough, and the cameras are better than expected. So far, it is simply that good right off the bat! Stay tuned for our full review soon!